Grabbed this up at a local Fred Meyer and it was even on sale... a brand new special brew from one of my favorite breweries.. go figure. "It’s been 25 years since we brewed up our first batch of beer and to celebrate we have crafted “25,” a pale doppelbock to celebrate this special occasion: the brewery’s 25th anniversary. The Full Sail crew invites you to join us in toasting to “25” in Hood River on September 27, 2012 at our Tasting Room & Pub at 5:00pm. At 6:00pm the celebration will continue with a toast and tapping of “25” and a showcase of Full Sail beers at Portland’s iconic Horse Brass Pub, a place that helped nurture and grow craft beer and Full Sail for the last 25 years." 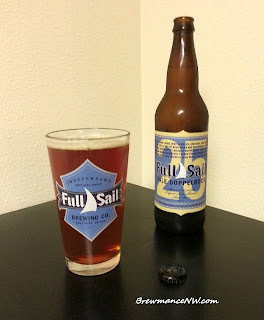 - Looks like a lightly carbonated Full Sail Amber Ale. Clear, clear ring of off-white foam in my Full Sail Pint Glass, and trace dusted foam which seems to sit, undisturbed. Overall not a bad look, but nothing pops. No thick rich head or creaminess in the look. - Very light aromas.. not much in it, but I get the sense this is hiding its glory. Nice sweet malts, bready notes, and a crisp backing. Simple, yet smooth in aroma. Light brown sugars, caramel, and esters from the malt. Not bad. - There it is. The flavor and profile shines through in the taste. I was kind of expecting that. Low alcohol flavors in a super smooth tasting sweet malt lager. Really nice esters, caramel, brown sugar, and an overall bready and grainy malt. This tastes super good, and dangerously smooth. 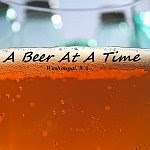 - This is a nicely carbonated brew, which seems to possibly be brewed with their house lager yeast? It's lightly creamy on the palate, and drinks extremely well. It's a touch chewy and cloying, but there is not any big dryness to it at all. The bitterness balances it and makes it a super drinkable beer. - Doesn't look special, and really doesn't smell special. But when you drink this puppy, you know it is one to start with, and finish with because it is a super good work of art. Spot on style? Maybe not. 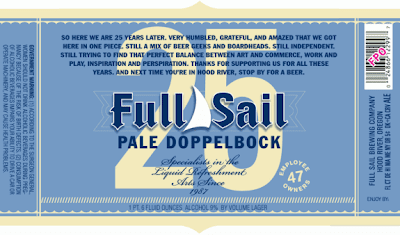 Taste like a Full Sail beer? Bet many wouldn't guess it in a blind taste. Good beer? Really good, smooth, and tasty. I could down many of these, and if I downed more, I would get into a little trouble. Though price doesn't affect my score, this is a real treat for a really great price. Grab them up. Not one to age, but one to drink.